What a wonderful evening at the Metropolitan club! 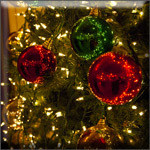 Here are some photos from the event to browse as well as a copy of the Christmas Ball Journal. 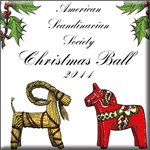 Enjoy our largest annual event - the Christmas Ball! All tickets include hors d’oeuvres, open bar, Lucia Procession and dancing until midnight to an 8-piece orchestra. Purchase your dinner ticket now. Enjoy our favorite evening of the year with some hors d’oeuvres, dinner, the Lucia Presentation, guest performances, open bar and dancing until midnight to an 8-piece orchestra! The Society is truly privileged to have as the Guest of Honor this year the celebrated Finnish actress, dancer and singer Taina Elg! SOLD OUT! This year we celebrate & honor a most Remarkable Scandinavian Achievement! Our Guest of Honor 2016 is Mr. Peter Martins, Ballet Master in Chief and Artistic Leader of New York City Ballet. Christmas Ball 2017 is Sold Out! Contact us for the wait list and check for early bird tickets on sale next summer!